Tanjung Tuan, 16th March 2008: Every March, we are blessed with the most awesome sight as migratory birds of prey make their way back to Northern China and Siberia. They make a brief stopover in our skies and greet us with a salutation dance. 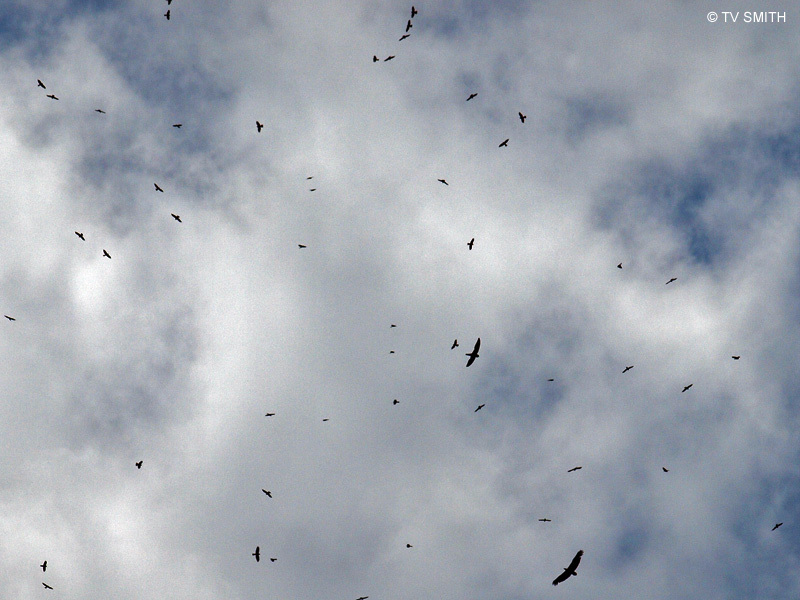 From Crested Honey Buzzards, Black Bazas to Arrow Chinese Goshawks, these majestic raptors glide high up in the sky with the help of hot air columns. Even our own resident White Bellied Sea Eagles showed up for this celebratory fly-by across the Straits Of Malacca. A long and arduous journey lay ahead for these birds. We can help them by raising awareness on the importance of conserving the area around Tanjung Tuan. According to the Malaysian Nature Society (MNS), the area acts as a critical resting spot for raptors arriving late in the evening. It provides shelter for the night before they take off for flight the next day.